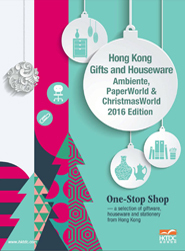 Online Hong Kong Products Special Edition for Ambiente Magazine contains the latest products information about HK Products Special Edition for Ambiente products / Ambiente tools / Ambiente industry and Ambiente design intelligence to help Ambiente Business decision makers to find verified Ambiente Suppliers regarding the business roadmap. 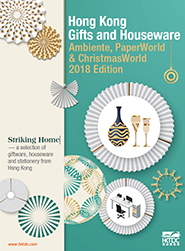 HK Products Special Edition for Ambiente Magazine carries the hot products are kitchen utensils, home accessories, stationery gifts and electrical appliances. 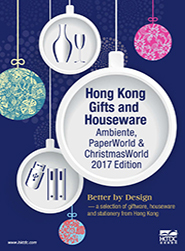 Other highlights include product descriptions of a wide variety of giftware, houseware and stationery.